Jump on board the Wichita Q-Line, a free and convenient way to maneuver around the downtown area. Explore the ICT Pop-Up Urban Park and visit the many food trucks among the rotation, or visit one of more than 200 downtown shops and restaurants. Download the free MyStop Mobile app to catch the Q near you. 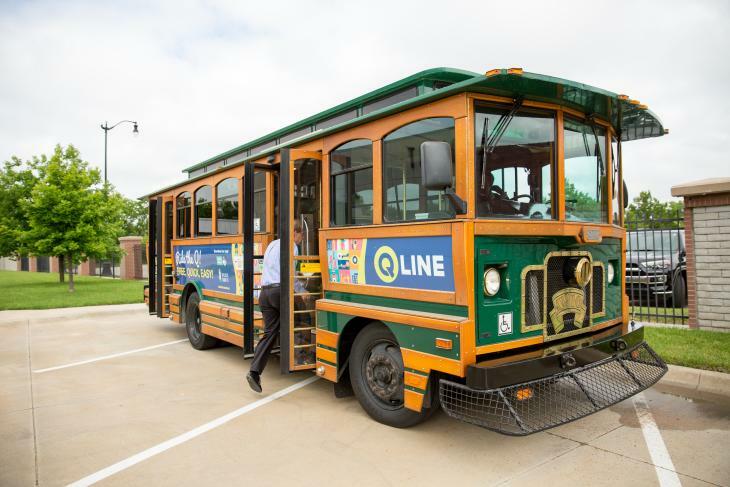 The Q-Line Trolley allows visitors and locals to explore downtown and enjoy free transportation to many of Wichita&apos;s popular districts and businesses. Trolleys run approximately every 10-15 minutes. LUNCH ROUTE - Monday-Friday 11:30 a.m.- 2 p.m.
WEEKNIGHT - Monday-Thursday 5-11 p.m.
Ride the whole route (takes about 20 minutes) to get an idea of where you want to go or make a pit-stop at a specific location or intersection. 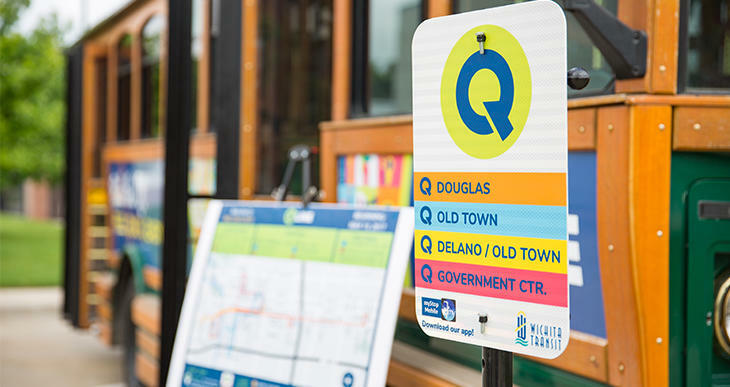 Multiple routes have a Q stop. Make sure the one you visit has the color of the route you’d like to travel. 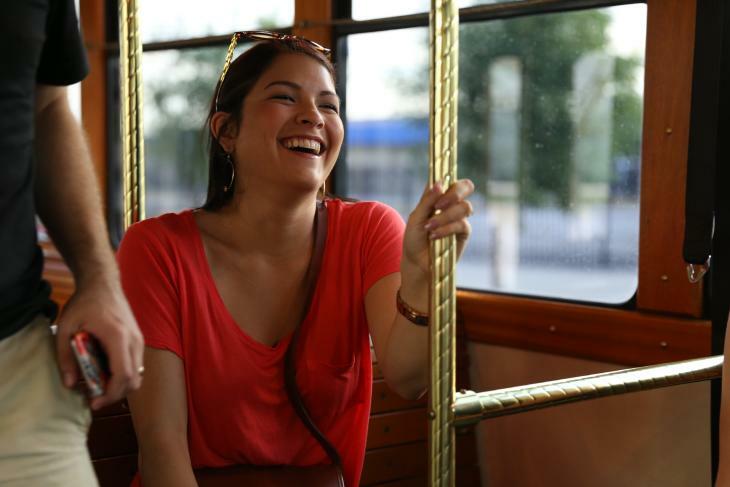 Once on board, you can stop the Q-Line at any time by pulling the cord located near the windows on both sides of the trolley. Make sure to pull it about a block before your desired stop.